BWP maple bats are making softball players more equal by bringing tradition back to the game. BWP's SBM maple wood slow pitch softball bats aren't for players that want to hit 700 ft home runs. These bats are for players that love the purity of a ball game played with wood bats. These hard maple bats feature a 2 1/4 inch barrel with a cupped end and a traditional 15/16 inch handle. All BWP bats have excellent durability, because BWP is a truly unique wood bat manufacturer. The location, state of the art manufacturing processes, and strict attention to detail enables them to provide the highest quality of wood bats available to the marketplace. BWP is located in the heartland of Pennsylvania, which is known as the hardwood capital of the world. Only the finest hardwood trees are processed into bats. Billets that do not meet these criteria are manufactured into other commercial products, such as furniture. Over 150 professional players are currently working with BWP. Feel the difference for yourself. BWP: Serious Bats for Serious Players! Free Shipping! Pros: Made in the USA! Great Pop and great overall quality! Cons: Should have an ASA stamp on it! Otherwise no other cons! Pros: Great bat all around!! 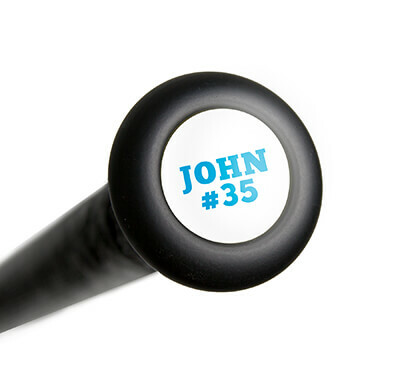 Hit several home run's with this bat and it is very durable. Made in the USA is definitely the way to go!! Tried the Bamboo bats and the handle broke in the same spot on 3 bats in 3 weeks of course they are made in China!! Pros: all around good bat, definitely looks like it will out last the Easton SB 34 WOOD that we've been using, ( ten have all cracked in the same location ). Cons: personally would prefer a little longer in the barrel and not as fast a taper. 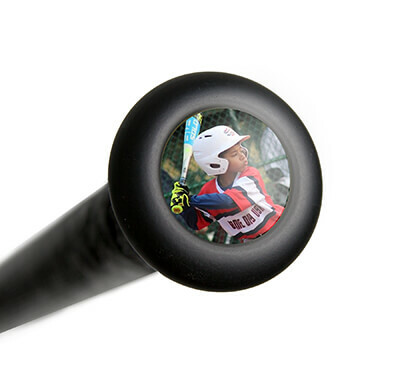 Have a question about the BWP Maple Wood Slow Pitch Softball Bat: BWPSBM Black? Ask our team of experts and they will respond within 24 hours. The BWP Maple Wood Slow Pitch Softball Bat (BWPSBM) Black does not come with a warranty. How many ounces is the 34 inch bat? The BWP Maple Wood Slow Pitch Softball Bat: BWPSBM Black in a 34 inch model will weigh 29 ounces. How many ounces would a 33" bat be? Wood bats do not come listed with a weight because they are made of one solid piece of wood that can vary in density and weight from bat to bat. With that being said, the BWP Maple Wood Slow Pitch Softball Bat (BWPSBM Black) is roughly a drop -5 which means that a 33" bat will way around 28 ounces, but it can weigh more or less. Is this bat ASA 2014 certified? The BWP Maple Wood Slow Pitch Softball Bat: BWPSBM Black does not feature the ASA certification stamp. If your league requires that stamp, then this bat will not be legal. BWP Bats, LLC operates in correlation with two sawmills, several dry kilns, and complete finishing lines. Our products' start as logs and finish up as bats. We have control throughout the entire process, which is truly unique to the marketplace. Our capacities speak for themselves, up to 3000 bats per week can be processed at our facilities. This allows us to offer quick lead times and is followed with dependable delivery. Customer service is very important to us. Our full time representatives' work hard to handle your accounts with the professional assistance you deserve. Whether it be placing your orders, checking on billing status, or following up on a question, you can count on receiving the personal attention you need. We are a full service lumber company which allows us to utilize the most stringent selection process in the industry. Unacceptable units will be made into other products at no yield loss. This ensures that you are not paying for inefficiencies and you receive the highest quality wood available, every time. Unique to us is our ability to select only the finest quality wood to manufacture into bats. Only the best lumber and finest grain make our final cut. The ability for us at BWP to maintain strict quality control from lumber selection, drying, to finishing ensures that you are receiving a top quality professional baseball bat. At BWP we combine both radio frequency and vacuum drying to relieve internal stress in the wood grain. The result? Harder wood which yields extra power, durability, and flexibility. We offer custom laser engraving and pad printing of dealer logos for a small added price. Have your signature engraved like the pro's.